Home » Food and Nutrition » The Vegetable That Every Cancer Patient Must Eat! Cabbage is one of those healthy vegetables that doesn’t get promoted as much as other superstars like broccoli or kale, but that’s a shame! Cabbage is full of a number of healthful ingredients that could help protect you. First of all, cabbage contains an excellent amount of fiber that could help keep your cholesterol levels in check. These effects have been shown to increase if you steam your cabbage first before eating it. Steaming allows the fiber in cabbage to better bind with bile acids in your digestive tract. Of course, raw cabbage will still help to remove some cholesterol as well. Now here’s a type of cabbage that’s high in a special compound called sinigrin: Savoy cabbage. Sinigrin is garnering special attention for its cancer-fighting properties. Once sinigrin enters the body, it is converted into allyl isothiocyanate, or AITC. AITC has been linked to a lower risk for bladder cancer, colon cancer, and prostate cancer. Although researchers have determined that DIM is safe to use in humans, the Georgetown researchers decided to conduct an animal trial—and given the nature of the trial, it’s not hard to see why. For their study, rats were exposed to lethal doses of gamma rays. One group was given a daily injection of DIM, while the participants in the other group went untreated. Not surprisingly, all the untreated rats died. In the group given the DIM treatment, at least half survived and continued to live even 30 days after the radiation exposure. The research team then decided to treat some mice. The results were the same except with some additional benefits. The mice treated with DIM lost fewer red blood cells, blood platelets, and white blood cells. This is an important discovery, because cancer patients who undergo radiation therapy often experience drops in all three of these blood components. This can become a serious side effect for patients taking radiation therapy. The researchers have concluded that their results suggest that DIM could be used to protect not only cancer patients, but citizens at large in the event of a nuclear disaster. Try to include cabbage in your weekly diet. No more relegating this cancer-fighter to special occasions! Try to eat cabbage a couple of times a week, along with some other cruciferous vegetables. The best way to prepare cabbage is to sauté the vegetable. This way, you can minimize the number of nutrients that are lost due to discarding cooking water. Cabbage is high in vitamin K and vitamin C. It is a good source of fiber and folate as well. To preserve cabbage’s high vitamin C content, cut and wash it just before cooking or eating. Leaving cut cabbage on the counter for a few hours will cause some of its beneficial nutrients to dissipate. 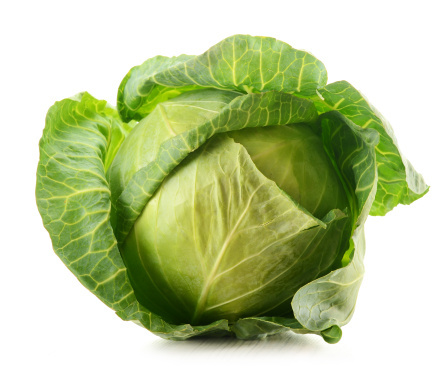 “Cabbage compound protects healthy tissue from radiation damage,” Medical News Today web site, Oct. 16, 2013; http://www.medicalnewstoday.com/articles/267488.php, last accessed Oct. 16, 2013. Ye, X.J., et al., “Protein from red cabbage (Brassica oleracea) seeds with antifungal, antibacterial, and anticanceractivities,” J Agric Food Chem. September 28, 2011; 59(18): 10232-8. Fan, S., et al., “DIM (3,3′-diindolylmethane) confers protection against ionizing radiation by a unique mechanism,” Proc Natl Acad Sci. October 14, 2013.